 Miller Outdoor Theatre offers culturally rich and artistically diverse children’s programming as part of its season of free productions. Children’s musicals, theatre and productions are scheduled during the week and on Saturdays, April through October. Performances begin at 11:00 a.m., unless otherwise noted, and end by 12:00 p.m. Miller Outdoor Theatre’s children’s programs are entertaining, educational, and – best of all – FREE! Seating at the Theatre is on a “first come, first served” basis. NO TICKETS ARE NECESSARY. NO RESERVATIONS CAN BE MADE. There are 1,705 seats under the canopy with space for 27 wheelchairs, and comfortable blanket and lawn chair seating for 4,500 on the grassy hilltop. If you are planning a trip to Miller Outdoor Theatre, please view and submit the group attendance form. Hermann Park is a popular destination for school field trips. As such, areas of Hermann Park have been designated for School Bus parking during the day. Please reference this map which highlights those areas. However, lunch orders can be flexible. Please view a full menu of our concessions. You may order lunches for your groups directly from the Levy Restaurants concession stand at least one hour before the show starts. For larger groups of 50 or more, please email bswope@levyrestaurants.com.